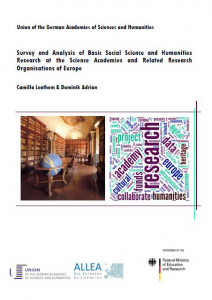 The Union of the German Academies of Sciences and Humanities and the federation of All European Academies (ALLEA) have released a survey and analysis of basic humanities and social science research at the science academies and related research organisations of Europe (SASSH). Information on research and working processes was collected using a survey that reached over 600 projects from 31 countries of the Council of Europe region. The publication of the findings elucidates the academy research landscape in the social sciences and humanities and identifies opportunities for inter-academy collaboration. “There is great potential for the academies to undertake joint research on European cultural heritage and identity and, as the study has shown, a strong will to do so. 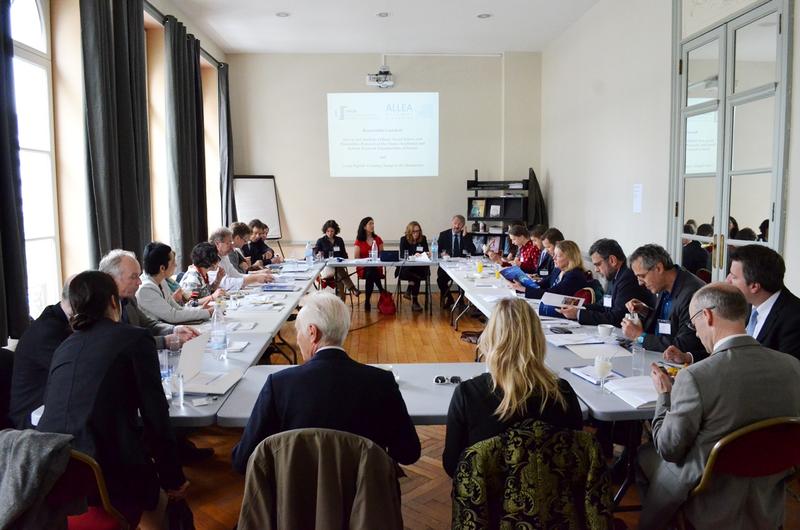 The academies (and related research organisations) could make a significant contribution to the integration of SSH research in Europe, and thereby to a shared approach to explaining and tackling societal challenges. What is missing is an academies’ research programme and a corresponding digital infrastructure that would enable effective collaboration in the long-term”, explains Prof. Dr. Günter Stock, President of the Union of the German Academies of Sciences and ALLEA, in his summary of the SASSH findings. Sponsored by the German Federal Ministry of Education and Research (BMBF), SASSH is the first ever analytical inventory of research performed at and by the European science academies and related non-university research organisations. In 14 chapters, the publication details the projects’ financial and human resources, research sites, running times, opportunities for early-stage researchers, the use of digital research tools and European infrastructure consortia, publishing and archiving behaviour (including Open Access), forms and regularity of evaluation, the extent to which international collaboration is in place, the extent to which increased international collaboration is desired, and the perceived obstacles in doing so. One recurring question forms a thread running through the study: what are the implications of the findings for a European academies-based research programme for long-term SSH research on the model of the German Academies’ Programme? The study is available in English and German and can be downloaded free of charge. It was released in Brussels in May at a round-table launch attended by representatives of the European Commission, the Commission’s Joint Research Centre, the European Parliament, European research networks and funding agencies for the SSH, and multiple European science academies. To download the study, please click here. Please note the above picture is for free use by the press. The Union of the German Academies of Sciences and Humanities is the umbrella organisation of eight German academies of sciences and humanities. The member academies comprise a total of over 1,900 scholars of diverse subjects, all of whom are outstanding representatives of their research fields, both nationally and internationally. Together they are committed to promoting scientific exchange, excellence in research, and supporting young early-stage researchers in the sciences and humanities. The Union coordinates the Academies’ Programme, currently the most comprehensive humanities and cultural sciences research programme in Germany. In addition, the Union promotes the exchange of information and experience between academies, and conducts press and public engagement activities. Furthermore, the Union represents the German academies of sciences and humanities abroad and sends delegates to national and international science organisations.